Desert Foothills remains a rustic, rual desert area with low density single family residences intermixed with equestrian facilities. There is a rich assortment of architecture styles that include Pueblo, Santa Fe, and Western Ranch. Typical parcels range from one to five acres. The dominance of the lush upper Sonoran Desert will be maintained by blending new construction into the natural desert setting. Balancing Rock is a gated community of 57 large lots amoung rolling terrain, boulder outcroppings, and some of the highest elevations in Troon North. City light and mountain views. Homes 2233 to 3172 square feet, on a quarter to over 2 acres. Candlewood Estates is a gated community of custom homes, many with along the Monument golf course. Many homes have spectacular city light and fairway views. Homes 2,173 to 6,939 square feet. Candlewood Estates Units 3, 4 and 5 are smaller lots. Candlewood Estates Units 1, 2 and 6 are larger lots. Club Troon is a proposed development in North Scottsdale. Preliminary plans call for twenty-eight (28) luxury residential resort lifestyle homes comprised of seventeen (17) two-story townhomes, seven (7) on-story flats, and four (4) penthouse flats. Desert Crown homes are east of Troon North. Homes 2143 to 4508 square feet, from a quarter to over 2 acres. Desert Diamond is a gated community of homes 1849 to 5251 square feet. East of Troon North, south of Dynamite. Some custom homes. Desert Summit is a gated luxury home community. Most homes by Monterey Homes. Desert Summit includes custom homes also. Custom lots available. Homes 2746 to 4615 square feet, on a third to 4 acres. Desert Vista homes are east of Troon North and south of Dynamite Blvd. Homes 2395 to 4071 square feet, from a quarter to 1 acre. Diamond Mountain Estate is a proposed development of 34 homes on 49.6 acres. Not yet approved by COS. Effort Postponed. Echo Ridge community has 1 and 2 story single family detached homes, built by Ryland Homes. Homes 1,936 to 3,233 square feet. Esperanza at Pinnacle Peak is a new planned development of 17 homes on approx. 5-acre lots within an 80-acre gated community. 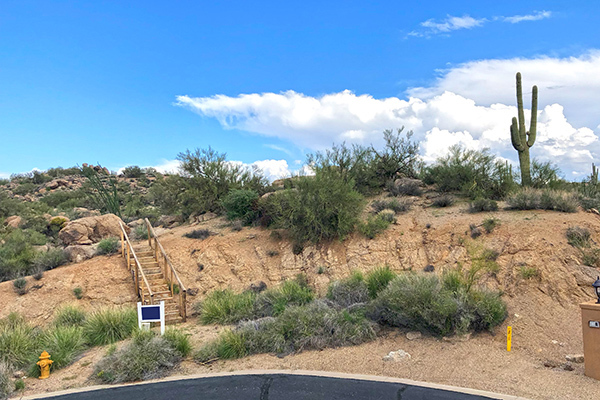 Each custom home lot will have views of Pinnacle Peak mountain and the beautiful Sonoran Desert. Estates at Troon North - Homes by Calex, are walking distance to the Troon North residence park. This is the western most subdivision within Troon North. Golf Casitas at Troon North (aka On The Green) is a gated condominium community, with city and/or mountain views. Some Golf Casitas units are on the Monument golf course. Homes range from 1484 to 2748 square feet. 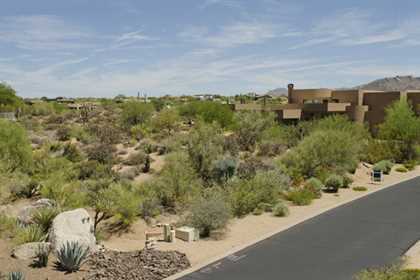 Golf Villas at Troon North is a gated condominium community, with city and/or mountain views. Some units are on the Monument golf course. Range of SqFt from 1838 to 2807. Ironhorse (aka Cavalliere Flats) is the 47 acre parcel where Greasewood Flat and Reata Pass Steakhouse was. The property was sold by Doc Cavalliere's family in 2013 to Taylor Morrison Homes. Talyor Morrison is offering the Summit Collection of floor plans (2,778 to 3,396 sf), and the Venture II Collection of floor plans (2,227 to 2,600 sf) to Ironhorse. There are 79 homesites: 56 small lots, 22 3/4 acre lots, and 2 4.5 acre lots. Merit Crossing has large custom home sites in gated community north west of Pinnacle Peak mountain, just west of Estancia. It is a beautiful setting with views of not only Pinnacle Peak but also of gorgeous desert scenery as far as one can see to the north. Monument at Troon North is a gated community of custom homesites, named after the Troon North course. Most homes have views of adjacent fairways and greens, dramatic boulder outcroppings, and nearby Pinnacle Peak. Homes 2002 to 5034 square feet, on lots of up to 2.3 acres. Pinnacle Canyon is a gated community south of Dynamite Blvd and across from the Troon North Clubhouse. 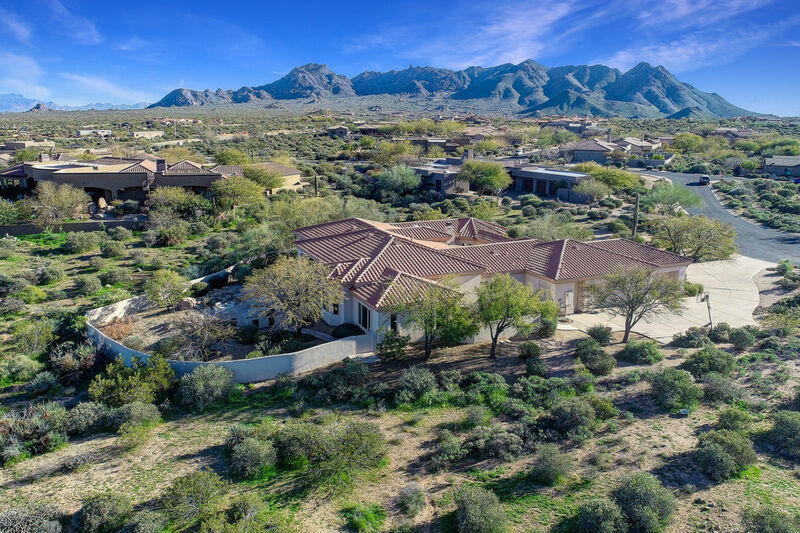 Custom homes are located in the northern foothills of Pinnacle Peak. Golf course patio homes by Pinnacle Builders are found along Dynamite and Alma School Blvd (from 2,000 to 3,000 square feet). The front 9 of the Troon North Pinnacle course passes through the community. Custom homes range from 3054 to 7308 square feet, on up to 2.6 acres. Pinnacle Foothills and Crown View Estates have semi-custom homes, east of Troon North and north of Dynamite Blvd. Homes 2296 to 4380 square feet, on a quarter to 1 acre. 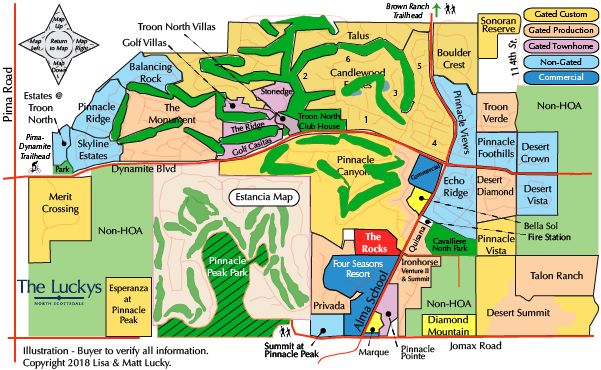 Pinnacle Pointe (aka Eagles Pass at Pinnacle Peak) is an 84-unit condominium community near Pinnacle Peak. 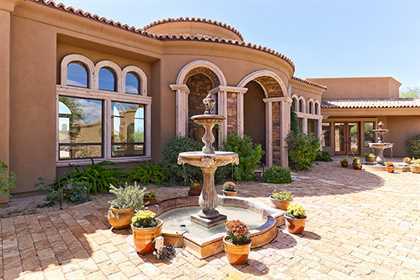 This Santa Fe style luxury gated community will be across from the Four Seasons Resort Scottsdale at Troon North. These two-story condo buildings containing two and three bedroom units. Some units have elevator access. Pinnacle Ridge Homes by T.W. Lewis from 1732 to 3903 square feet. Pinnacle Views has semi-custom homes built by LaBlonde Homes or Sunpac Homes. Homes range from 1,732 to 3,691 square feet. Pinnacle Vista is a gated subdivision of 6 custom home lots from 3.28 to 5.43 acres. CC&Rs require a minimun home size of 3,500 sf. There are also 11 custom homesites at the highest point on the property. These private homesites range in size from 0.42 to 2.64 acres. 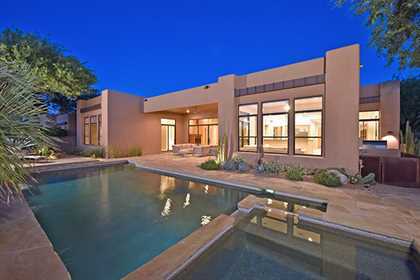 Incredible mountain and city light views, and lush Sonoran Desert topography. Quisana at Troon North, is a gated development of twenty-nine (29) single family homes. Homes range from 2,800 to 3,800 square feet, with two car garages. The subdivision sits on approximately on 13 acres, just South of Cavalliere North Park, and across from the Four Seasons. Original homes were built by Cielo Homes. Subdivision finished by Standard Pacific (now CalAtlantic) with construction by Meyer Construction. This gated community is walking distance to hiking trails, fine dining, spa facilities, and a short drive to golf and shopping. Skyline Estates is a gated community of homes. Some on Monument golf course. Skyline Estates homes range from 2022 to 3991 square feet. Sonoran Reserve is just outside of Troon North and borders the McDowell Sonoran Perserve. Custom home lots available. Stonedge at Troon North is a gate community of 2-story townhomes from 2,007 to 2,867 square feet. Stonedge homes share views of boulder outcroppings and/or golf course views. Summit at Pinnacle Peak Patio is a 50 unit luxury patio home project on 10 acres. The builder, K. Hovnanian Home, offered 4 designs of single-level and two-story villas ranging from approximately 2,109 to 3,566 square feet. There are approximately 17 acres to the west of Summit at Pinnacle Peak Patio owned by the State Land Department. The Pinnacle Peak park trail head is nearby. Talon Ranch by Toll Brothers is a gated neighborhood featuring 33 1+ acre home sites in North Scottsdale Arizona. Talon Ranch is surrounded by the serene sonoran desert. Talon Ranch has views of Pinnacle Peak and Four Peaks Mountain Range. Talus is a gated community of luxury custom homes amoung dramatic boulder outcroppings. 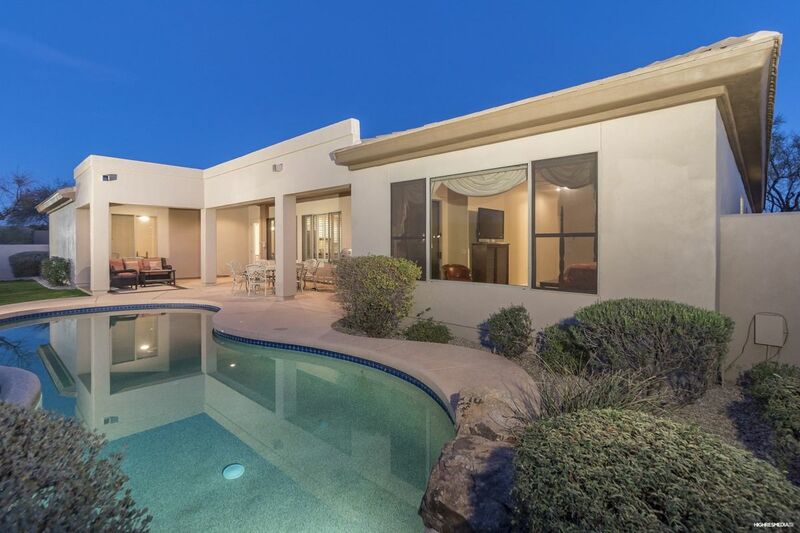 Views of the Pinnacle and Monument golf courses, and adjoining desert preserve. Homes 3,108 to 7,687 square feet. Lots fron .8 to over 5 acres. The Ridge at Troon North is located on over 11 acres, between the 1st and 9th holes of the Monument Course at Troon North. The Ridge at Troon North offered 100 condominiums with fairway and mountain views. The Ridge has four models range from 1315 to 1835 square feet. 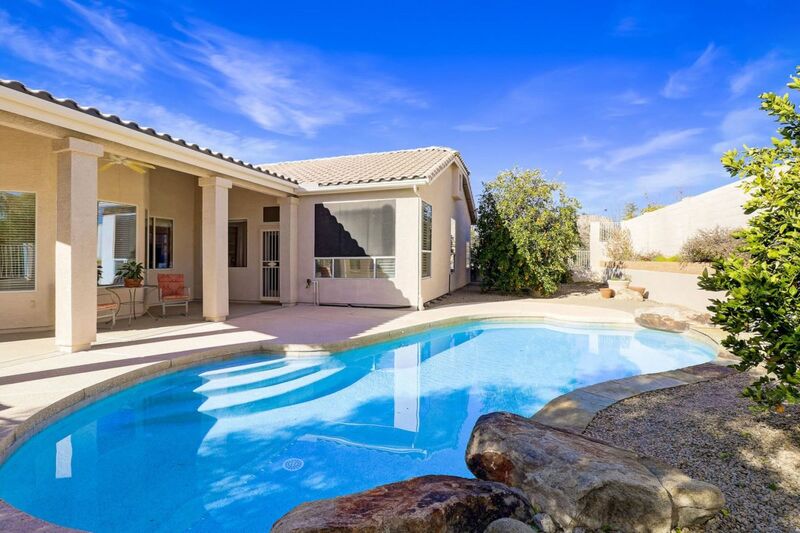 Other amenities will include a gated entrance, resort pool, 1700 square foot fitness center, and the natural beauty of the Sonoran Desert and Troon North. 7 of the forty 40 Villas have been sold fractionally in 1/7th shares. A handful of 1/7th shares are still available and each member purchases an undivided 1/7th share of a Rocks three or four-bedroom Villa. The ownership concept makes a lot of sense for a great many people because it provides all the benefits of owning a vacation home of the highest quality, with zero hassles. Troon North Villas is a concept in development. Check back later. Troon Verde is a gated community east of Troon North and north of Dynamite Blvd. Earlie Homes offered 3 floor plans ranging from 2517 to 3138 square feet. There are 24 large custom home on up lots to 2 acres. A few custom home lots are still available. Troon North is an 1,800-acre master-planned community in prestigious North Scottsdale. Located along Dynamite Boulevard, east of Pima Road, in the foothills north of Pinnacle Peak Mountain. 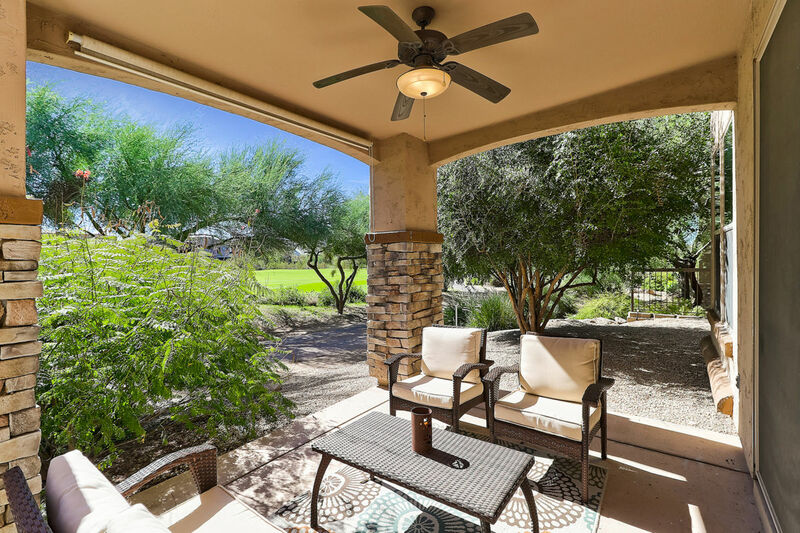 The Troon North community enjoys a dymanic desert landscape – undulating geography, amoungst hugh granite boulders, lush desert arroyos, and stands of ancient saguaros. Residential subdivisions are designed around two public championship golf courses by Tom Weiskopf and Jay Morrish. Troon North is considered one of Arizona’s finest golf communities. Membership to this semi-private club is available to property owners only. Guests of the Four Seasons Resort have playing privileges at Troon North. Development began in 1989 and continues today. Custom lots are still available. Types of property include condominiums, townhomes, production homes, semi-custom home, and custom estate. All but a few subdivisions are gated. Most homes have mountain and/or city light views. Click for an example Troon North property video The Luckys created. See all Troon North Area New. See all Troon North Area Sold.